Emax Computer Technology Info Site: Lowyat.Net got Hack? 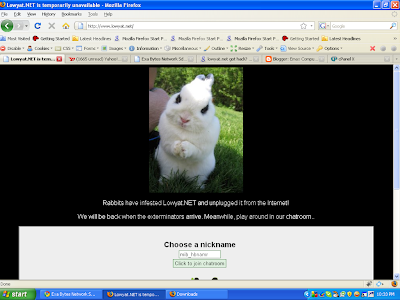 "Rabbits have infested Lowyat.NET and unplugged it from the Internet! We will be back when the exterminators arrive. Meanwhile, play around in our chatroom.. "
Here is the screen shot of the lowyat.net site.